Exquisitely beautiful, Beauty of Yester Year Forehead Headpiece is a true reflection of the drama and chic elegance of the Roaring 20s. 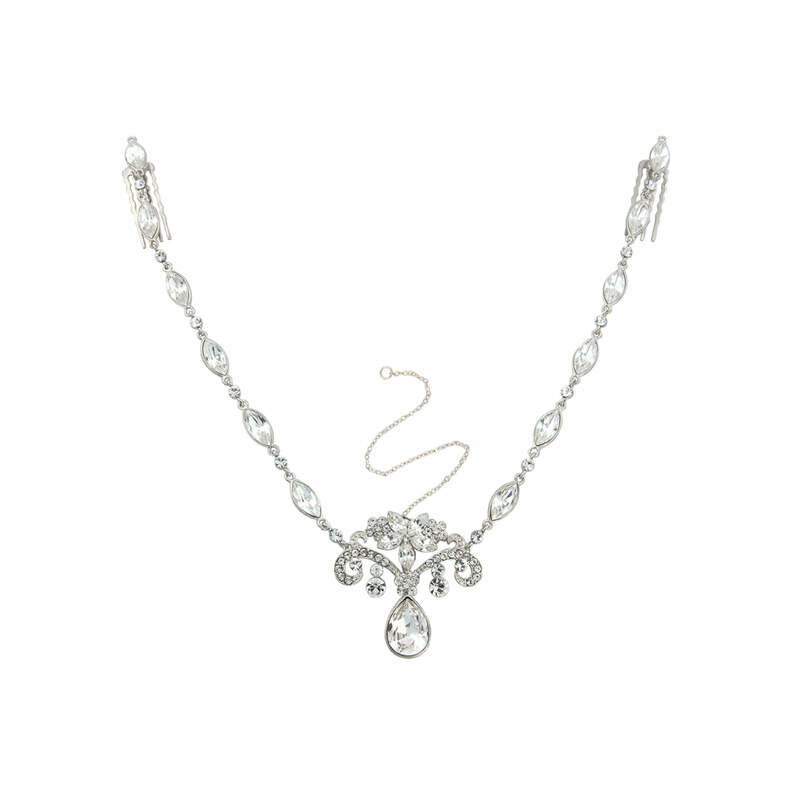 Featuring a centre scrolled adornment with a pear cut Austrian crystal drop which sits on the forehead, the side chains are set with marquise cut crystals and lead to two combs to set into your up-do. The centre piece is joined to a fine silver tone chain which is placed, away from view, under the hair and secured with a kirby grip. A simply sensation wedding forehead band for brides who adore 1920s style, this is a statement wedding hair accessory which needs little accessorising, other than a pair of simple stud earrings. 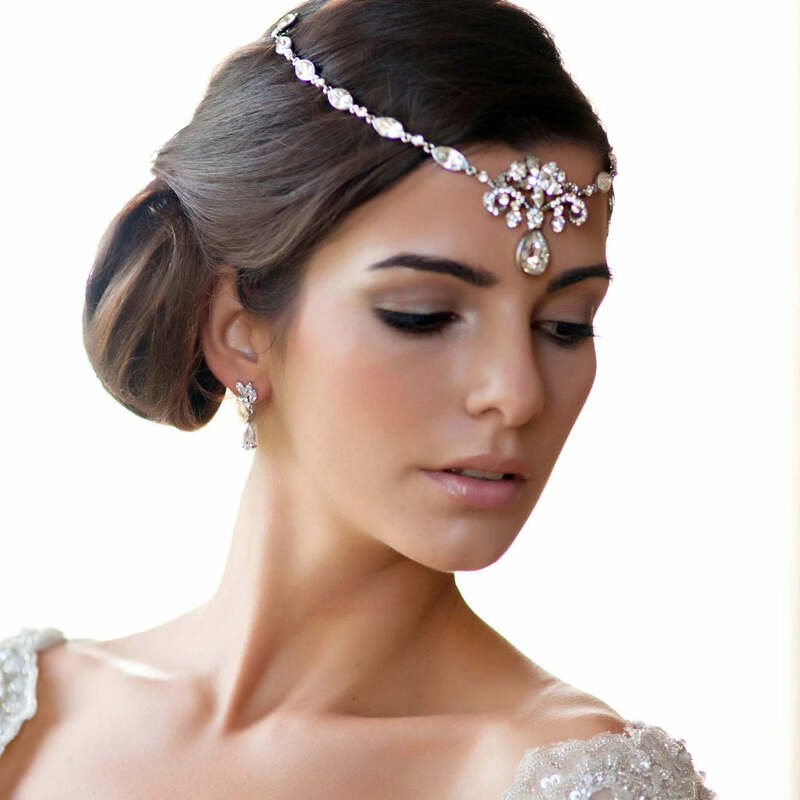 Embrace the style of this fabulous decade and turns heads as you glide down the aisle. I love it!! Was so happy when it arrived!